On this page you can consult informations about distances and roadmaps from Rockhampton Airport to major cities and places in Australia. Workers, Families, Stay Here! is situated in Gracemere and offers a garden. The accommodation is 15 km from Rockhampton. Rockhampton Airport is 17 km from the property. This hotel is 9.13 km from city center. 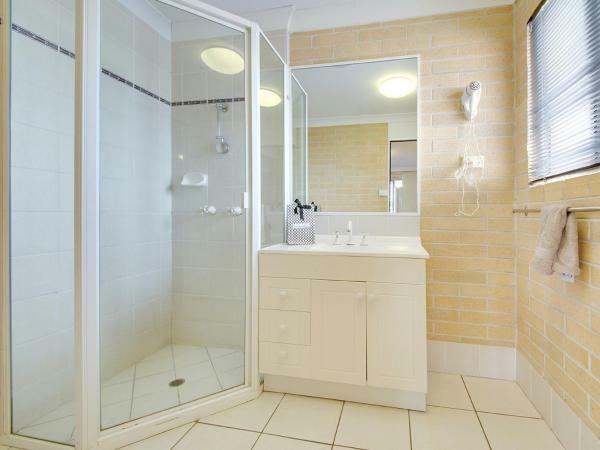 Located in Rockhampton, LillyPilly Resort Apartments provides accommodation with a fitness room. Free WiFi is provided. This hotel is 8.91 km from city center. 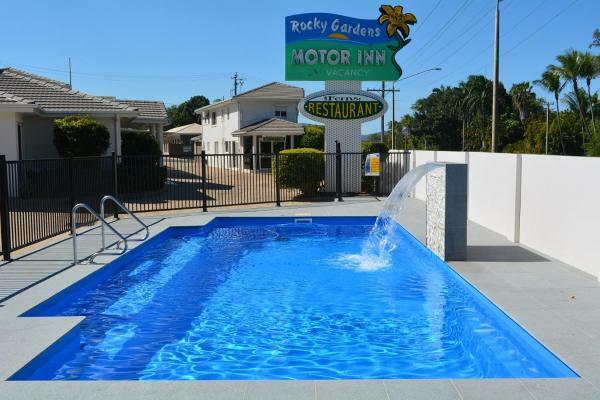 Just 5 minutes’ drive from Rockhampton city centre, Rocky Gardens Motor Inn features an outdoor swimming pool and a restaurant. Guests also enjoy on-site BBQ facilities and a bar. This hotel is 4.26 km from city center. 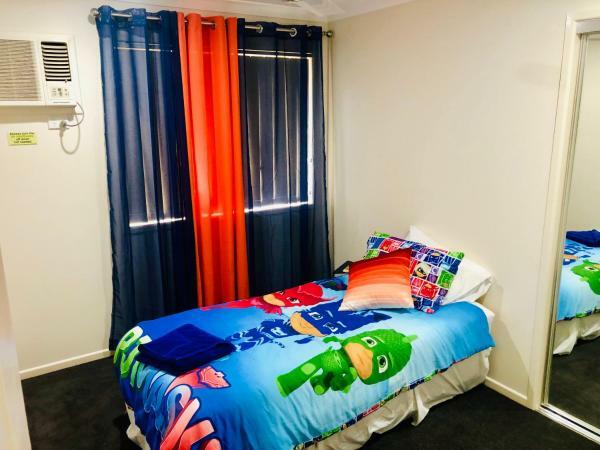 Situated in Rockhampton, Apartments on Palmer features accommodation with free WiFi and access to a garden with an outdoor swimming pool. This hotel is 4.22 km from city center. Set on 10 acres of tropical gardens, Southside Holiday Village boasts an outdoor pool, a half-size tennis court and BBQ facilities. This hotel is 4.27 km from city center. 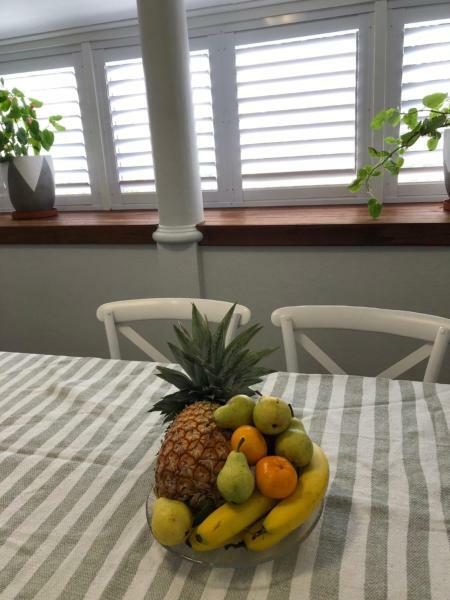 Just 500 metres from Rockhampton Zoo and 700 metres from Rockhampton Botanic Gardens, Cottages on The Range Bishop Street features accommodation in Rockhampton, with barbecue facilities. The 4-star holiday home is 3. This hotel is 3.35 km from city center. Located only 2 km from Rockhampton city centre, Rocky Resort Motor Inn features a restaurant, bar and outdoor swimming pool. Guests enjoy free WiFi. 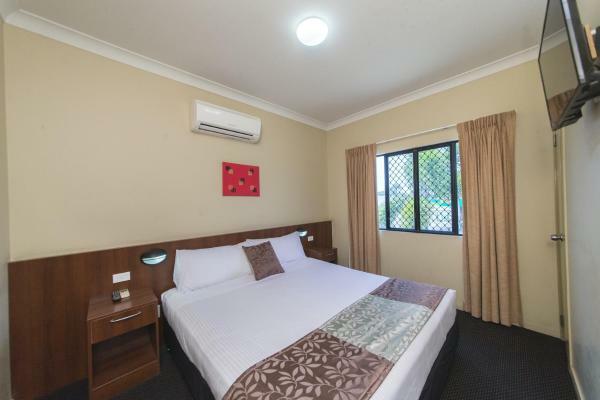 Rocky Resort Motor Inn is a 5-minute drive from Rockhampton Zoo and Botanic Gardens. This hotel is 4.03 km from city center. 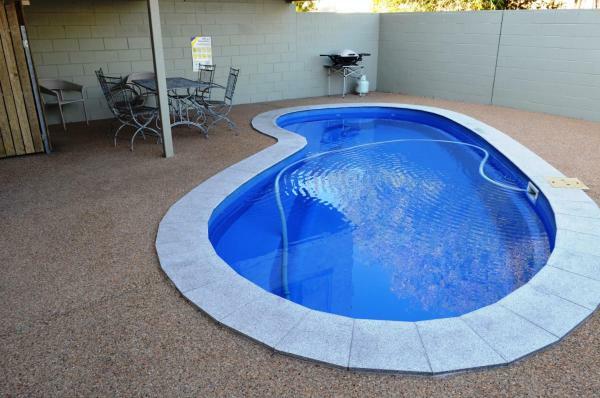 Offering an outdoor pool and an on-site bar with billiards and darts, SunPalms Motel is located in Rockhampton. 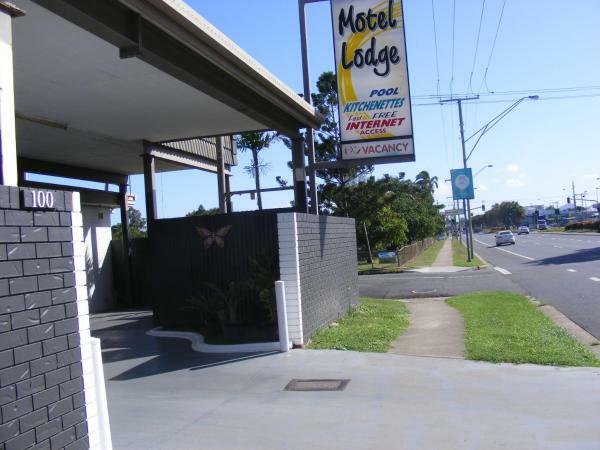 The motel is a 12-minute walk from Mater Misericordiae Hospital and a 13-minute walk from Rockhampton Train Station. This hotel is 3.88 km from city center. Located along Gladstone Road, Best Western Cattle City Motor Inn is a 5-minute drive from central Rockhampton. The hotel offers an outdoor pool and free WiFi. All rooms feature free cable TV. This hotel is 3.90 km from city center. 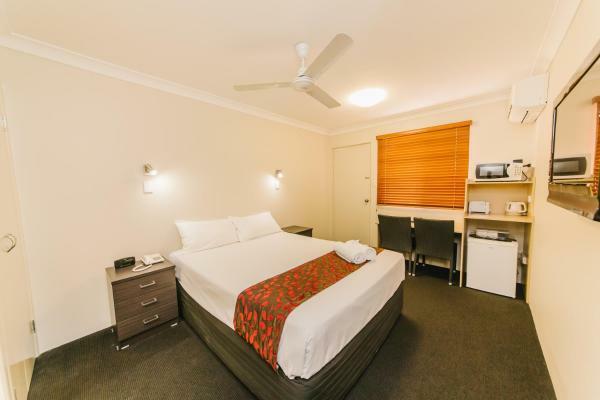 Situated in Rockhampton, 2 km from Walter Reid Cultural Centre, Top 1 Motel features rooms with air conditioning. Located around 2.2 km from Rockhampton Zoo, the motel with free WiFi is also 2.3 km away from Browne Park. The property is 2. This hotel is 3.84 km from city center. Tropical Gateway Motor Inn is just an 8-minute walk from Allenstown Shopping Centre and 4.3 km from Rockhampton Airport. It offers a saltwater outdoor pool, free parking and free WiFi. This hotel is 3.79 km from city center. 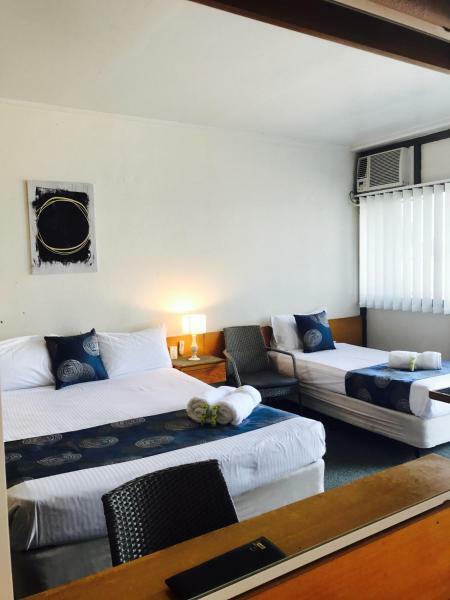 Located just 4 km from Rockhampton Airport, The Q Motel Rockhampton is situated centrally and offers a restaurant and bar. All rooms feature free Wi-Fi and free continental breakfast with a large variety of food. This hotel is 3.78 km from city center. Free WiFi and air-conditioned rooms are on offer at Motel Lodge Rockhampton, just 1.8 km from Rockhampton city centre and the Fitzroy River. Guests can relax in the outdoor swimming pool. This hotel is 3.75 km from city center. 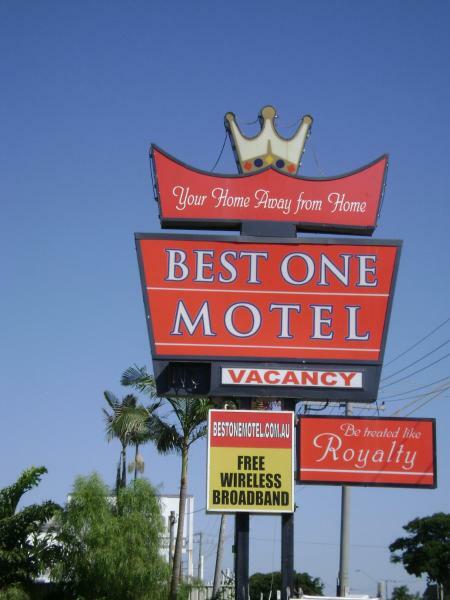 Best One Motel is situated in Rockhampton, 2 km from Walter Reid Cultural Centre, and provides free WiFi. 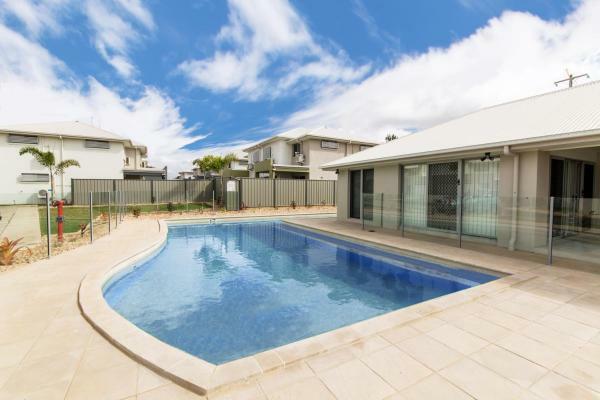 The property is around 2.2 km from Browne Park, 2.4 km from Rockhampton Zoo and 2.6 km from Rockhampton Botanic Gardens. The property is 3. This hotel is 3.77 km from city center. 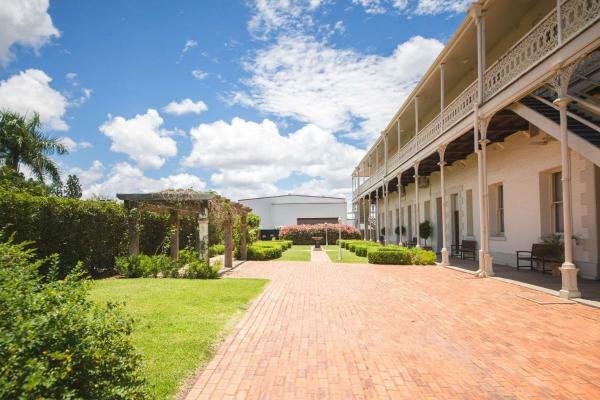 Situated in Rockhampton, 1.4 km from Walter Reid Cultural Centre, Saleyards Distillery provides a garden. The property is around 1.7 km from Browne Park and 2.6 km from Department of Health Queensland. This hotel is 3.66 km from city center. Cottages on The Range Archer Street, boasting a garden, is situated in Rockhampton, 1.2 km from Department of Health Queensland and 1.5 km from Rockhampton Zoo. The holiday home, housed in a building dating from 1960, is 1. This hotel is 2.16 km from city center. Featuring rooms with a double spa bath, Denison Boutique Hotel, an Ascend Hotel Collection Member is just 5 minutes’ walk from Fitzroy River. Built in 1885, the hotel offers free Wi-Fi and free on-site parking. This hotel is 4.18 km from city center. Featuring a swimming pool and 2 dining options, Central Park Motel is just 4 km from Rockhampton Airport. All rooms offer a flat-screen TV with satellite channels. Some rooms offer a spa bath. Guests enjoy 2 hours of free Wi-Fi per stay. This hotel is 3.41 km from city center. Boasting a central yet quiet location, Citywalk Motor Inn is just a 5-minute walk from Rockhamption’s central business district. It features free WiFi access, free guest laundry services and free parking on site. This hotel is 3.73 km from city center. 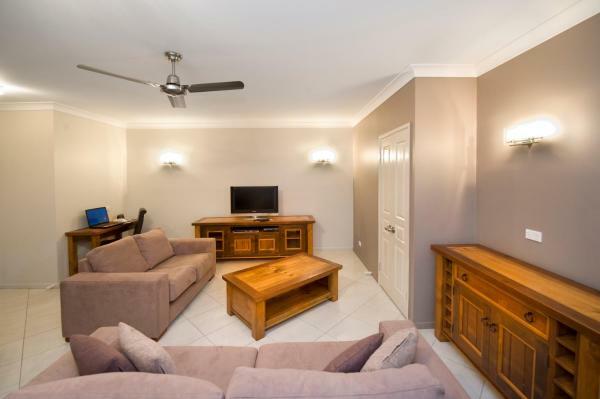 Conveniently located 3 minutes’ drive from the centre of town, Rockhampton Serviced Apartments offers free Wi-Fi and a swimming pool. All accommodation has a microwave and a refrigerator. This hotel is 3.26 km from city center. 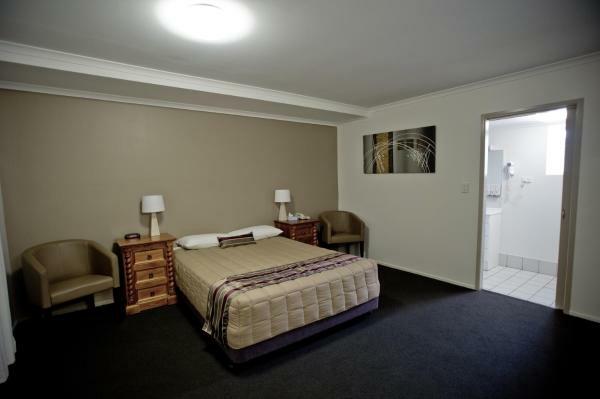 Featuring free WiFi, Murray Street Apartments is located in Rockhampton. Yeppoon is 37 km away. Free private parking is available on site. All units are air conditioned and feature a seating and dining area. This hotel is 3.32 km from city center. 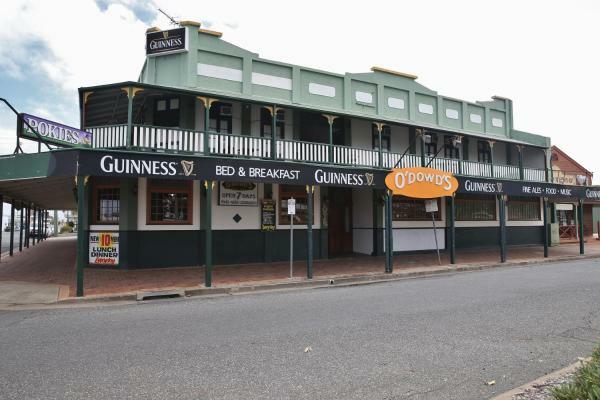 O'Dowds Hotel/Motel Rockhampton has a terrace and a shared lounge in Rockhampton. This property is located a short distance from attractions such as Walter Reid Cultural Centre, The Pilbeam Theatre, and Browne Park. The property is 2. This hotel is 3.89 km from city center. 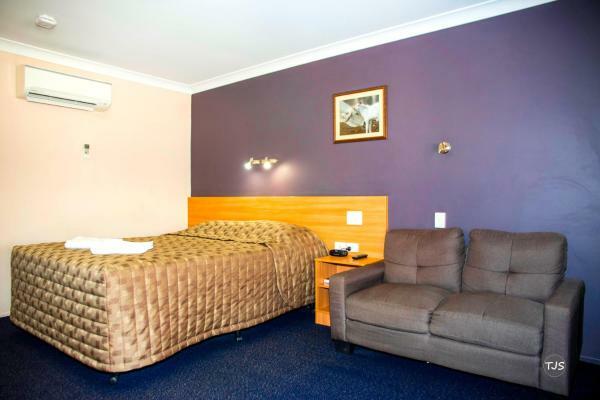 Offering an outdoor pool and free WiFi, Welcome Home Motel Rockhampton is just 2 minutes’ drive from Allenstown. Laundry facilities and free parking are available. 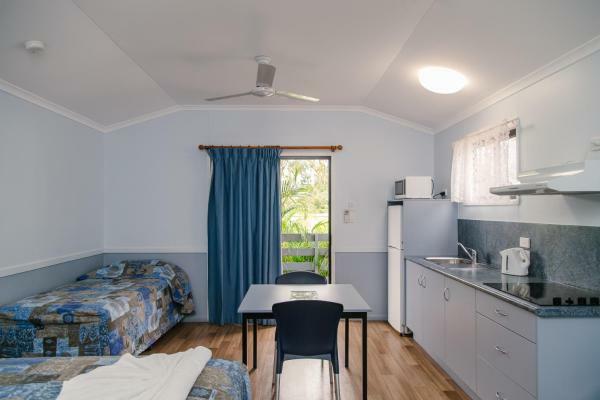 This motel is 9 minutes’ drive from both Rockhampton Airport and the Fitzroy River. This hotel is 3.33 km from city center. 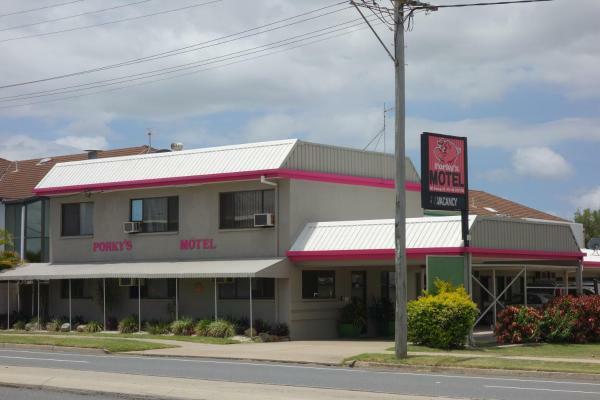 Situated in Rockhampton within less than 1 km of Browne Park and 1.8 km of Department of Health Queensland, Porkys Motel provides rooms with free WiFi. The property is around 1.9 km from Walter Reid Cultural Centre, 2. This hotel is 3.37 km from city center. Featuring a swimming pool and a restaurant, Centrepoint Motor Inn is just 10 minutes’ walk from central Rockhampton. 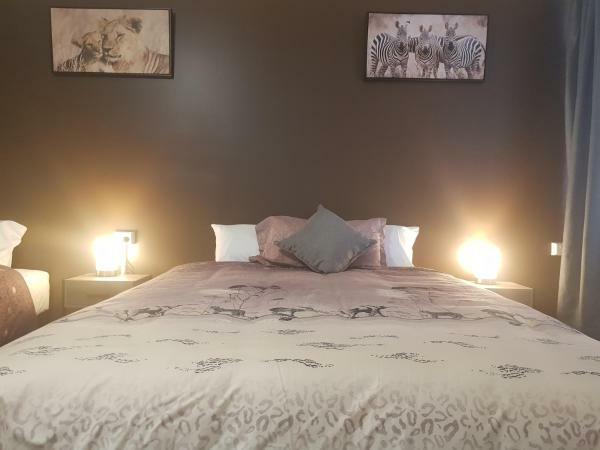 All air-conditioned accommodation offers free WiFi and a flat-screen TV. This hotel is 3.35 km from city center.